supposed responsibility. Stalin said one death was a tragedy and a thousand a statistic. He was talking purely about the response of human beings to slaughter and he was correct. We do struggle to appreciate massive human waste. We have watched unemployment become entrenched in what should be affluent societies and starvation tolerated in the developing world as the IMF constantly pushes for a below subsistence standard of living for people who should be helped. Millions have suffered needlessly and will continue to do so. This is the absurdity of our commitment to free for all neo-conservatism. The economic jungle that the rich insist is necessary to reward a work ethic. The jungle that pays Bob Diamond £22m a year and G4S £30,000 for each security guard they recruit for a couple of weeks work at £8 an hour. How much the company will be paid for the security guards they fail to recruit is unclear. Compared to what has happened with the banks, the disastrous austerity plans, the lies spread by Murdoch and the wreckage that our smiling TV forecasters call a climate, the destiny of 1291 disabled people may not be that important. Stalin was not daft. It takes brains to slaughter millions of the population and retain popular support. But neither was Shakespeare. King Lear is not half bad either. A solitary act may be no more than a detail but sometimes the stench is stronger. The closure of Remploy is a foul sin that will haunt this government and every slick bureaucrat that ministers to their thoughtless plans. The damage it will do to the lives of disabled people may not be noticed by the rest but the corruption will spread just as Richard II predicted. Oh, we will hear garbage about assisted employment and the need to provide an opportunity for disabled people to integrate into the wider society. The Department of Work and Pensions will have a spokesman pledging that JobCentrePlus will interview every disabled person made redundant. But their statements will ignore one clear consequence. The needless hurt caused to innocent people. Some of the disabled people employed by Remploy will no doubt survive and even retain long term employment but the majority will finish their lives on the dole. The only question is when. 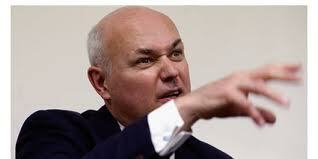 Most people who have a conscience are baffled by how people with power can have so little sympathy for the vulnerable. But then they do not understand the exceptionally ambitious. Such people have a priority for self that makes gluttons of them all, a priority nurtured by privilege and fortune that they never properly understand. Today few of us use the words of Shakespeare. Most of us would say something like this Government has finally crossed a line between stupidity and evil. Expressed that way, the journey has probably been inevitable. democracy and progressive politics. We had rules and regulations that stopped the rich from gorging themselves on their ridiculous sense of entitlement. Later, the rich reacted and, supported by Thatcher, they insisted upon having more. But this act, this foul sin is different. This exposes the spot of pure corruption that exists in those who have no compassion and who think that people, to quote the words of the once Tory leadership candidate David Davis, ‘should be allowed to fall to their own level’. When Davis uttered these words at a Tory Party Conference, words that evoked a society where starvation could be permitted because that was the appropriate level for some, the faithful Tory followers cheered and roared. Just what did they imagine? Presumably, they cannot picture hardship and failure and damaged children. No, all they imagine is the poor taking advantage. But if the poor take advantage in the way they assume why do poor people eat badly, live in inferior housing and have shorter lives and the rich possess money they do not know how to spend? Something, some quirk in their nature or thinking gives them the cruel spot that always ignores this obvious truth. The rich are the winners. After winning, why do they have to be so brutal? But, that was something else Shakespeare understood. The need to cry havoc persists and others have to endure. 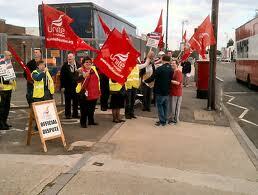 On Thursday of this week, the staff of Remploy went on strike. A Remploy spokesman said that the disabled workers were not helping themselves. The verbal nonsense has already started. The implication is that Remploy workers should be striving hard to persuade others that they have an economic future but the spokesman ignores the decision already taken to close the factories. Listen to the Government defend itself and remember the words of Richard II. ‘Foul sin will break into corruption.’ It already has. To link such a topic to an Elvis Presley Challenge makes me wary but that is what this blog is called and to ignore what is happening at Remploy would be irresponsible. Elvis Presley fans are like anyone else. Some of us have a social conscience and some of us do not. This fan likes to think he has one. The politics of Elvis were not consistent but I suspect he would have been outraged if he was alive and had somehow settled in England. Elvis fans are aware of the life long friendship Elvis had with Gary Pepper who suffered from cerebral palsy and was confined to a wheelchair. Those critics who stereotype Elvis as a violent right wing chauvinist overlook this aspect of his character. We should not be sentimental. The relationship with Gary Pepper does not make Elvis a great human being although it makes him a lot more admirable than David Cameron and his Government. I have tried but I cannot imagine Jeremy Hunt giving Remploy more than a second’s thought. 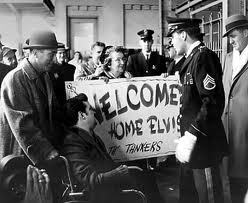 The compassion and concern within Elvis, though, is important. Not only is it a reminder of a time when human beings were more complicated than the gratification addicts we are now so desperate to breed, it relates also to what is important about the music of Elvis. He did proclaim a strong sense of personal entitlement. But he also believed that the losers should not lose. This is what makes him different from the powerful that prevail today. They want not only to win but the losers to lose badly, to be allowed to fall to the lowest possible level. They cheer when they hear the notion uttered. Like extras in a Shakespeare history play, they revel in the carnage of others. Somebody should calm this Government down and remind them how Greil Marcus described the key message of Elvis. ‘No man is greater than me and I am greater than no one.’ Think about that Mr Cameron and Mr Hunt in your village retreats and think also upon your foul sins. Yet another well timed, well argued and cogent piece which should make even this heartless government feel totally shameful. Unfortunately it won’t but anyone who believes that such a decision to bring disabled people into the mainstream workforce is totally deluded. I just hope that influencial pressure is applied to rectify this appalling decision. William Blake wrote in auguries of innocence “A dog starved at the masters gate, predicts the ruin of the state” When Jackie Wilson was down with stroke in 1975 Elvis paid most of his hospital bills. Great post. Thanks for a good comment, Rero. Great quote from William Blake.